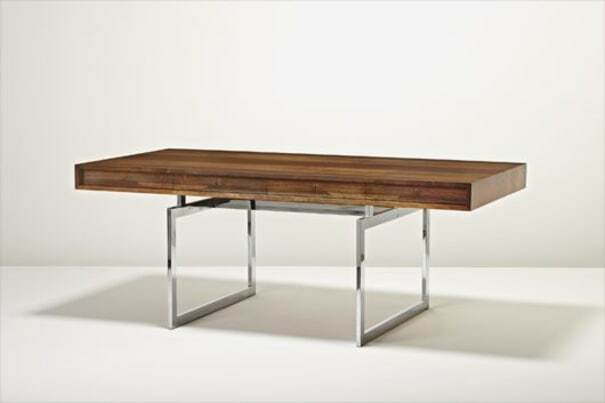 Rosewood-veneered wood, rosewood, oak, chrome-plated metal, metal. Manufactured by E. Pederson & Son, Denmark. Together with a filing cabinet in the same materials (2). "Office Chair for the New Economy,"